A true smart home, this 5 bedroom, 6.5 bath home will take you beyond your wildest dreams with its imaginative ideas and innovative concepts. 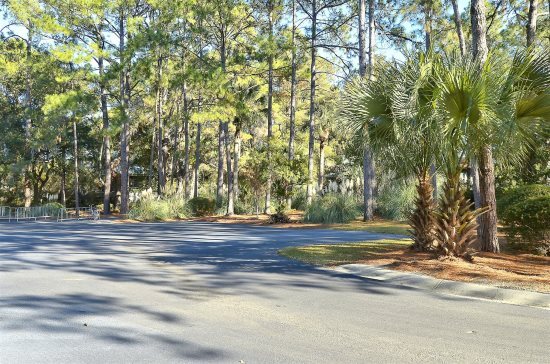 This is a unique, ultra-luxury home filled with the most up-to-date modern conveniences and it is located just 4 rows from the beach in beautiful Sea Pines Plantation! As you enter the home, you will be greeted by the foyer which leads to the bright and spacious great room including the generous dining room, top of the line gourmet kitchen, and main living room. The kitchen features stainless steel appliances, granite countertops, and custom cabinetry. With a large island and plenty of counter space, the whole group will be able contribute to an amazing meal! The formal dining room offers seating for 10 and additional seating is available at the breakfast counter. Off the dining room is one of the two laundry rooms which includes a full size high efficiency washer and dryer. The living room offers comfortable seating with an L shaped couch and two chairs perfect for catching your favorite game on the 50" flat screen TV with DVD. 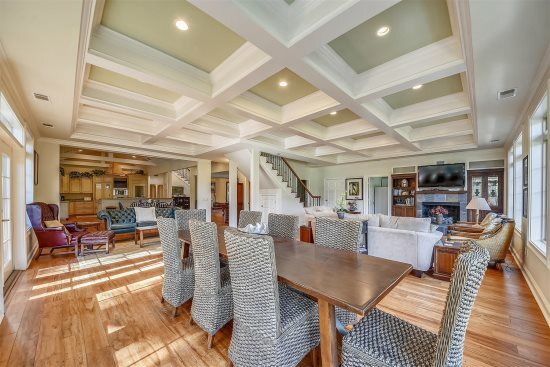 In a cozy nook off to the side sits 4 slip-covered club chairs around a small table perfect for a game of cards. The great room doors open to the deck and pool area where the luxury continues. The large pool with spa is surrounded by ample seating with lounge chairs and a covered sitting area. Enjoy watching the kids splash in the pool while grilling out on the top notch gas grill conveniently located next to a sink. There is access to a full bath with walk-in shower next to the pool so you don't have to worry about wet feet running through the interior of the home. The outdoor area is surrounded with lush landscaping for total privacy. To the left of the foyer up a half flight of stairs is a small room with sofa bed and the first master suite with king bed and 32" flat screen TV and DVD. This room also features a grand private bath with a tiled wrap around shower and double sinks. A small sitting room with two reading chairs will greet you as you make your way to the 2nd floor. Two bedrooms are located to the left of the stairs, one with a queen bed and private bath with walk-in shower, and the other with 4 bunk beds and a private bath with a tub. The right wing of the second floor holds another laundry room with stackable washer and dryer another bedroom with a queen bed and another roomy master suite featuring a king bed, flat screen TV, separate sitting area, and private bathroom fit for royalty! The large soaking tub, double sinks, and wrap around walk-in tile shower are sure to please the head of the household. Still not impressed? Also in this wing is another special feature of this home, the media room. The purple walls and uber-comfortable red sofa provide a perfect space to relax and watch the latest flick after a long day at the beach. Equipped with a wall mounted flat screen TV and blackout shades this room is sure to please any movie buff! The pool and spa CANNOT be heated.The pool filtration system is automatic. Please be aware that the spa will enter into a special waterfall mode after midnight, which dumps the spa water into the pool to recycle the spa water out and let new water in. See the instructions on the wall next to the spa control located in the front hall by the pool door. Pool is Salt water. Please specify # of security gate passes needed at time of reservation; Passes are $17 per car per week. The layout was great. Noise didn't carry much throughout house. Everyone was very helpful and communicative. Wonderful experience. 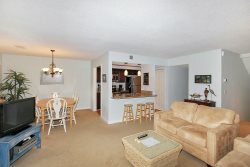 Great location and property was in great shape.